Hair metal, parachute pants…..and pasta salad? 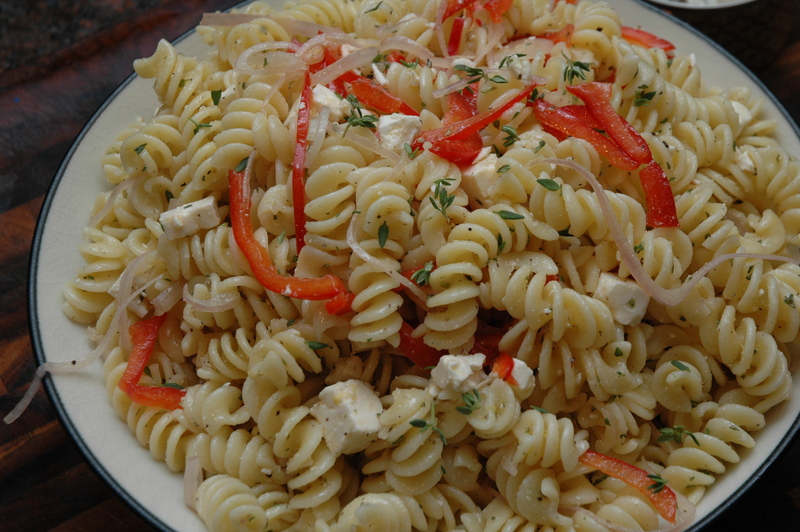 Yes pasta salad was huge in the 80’s. 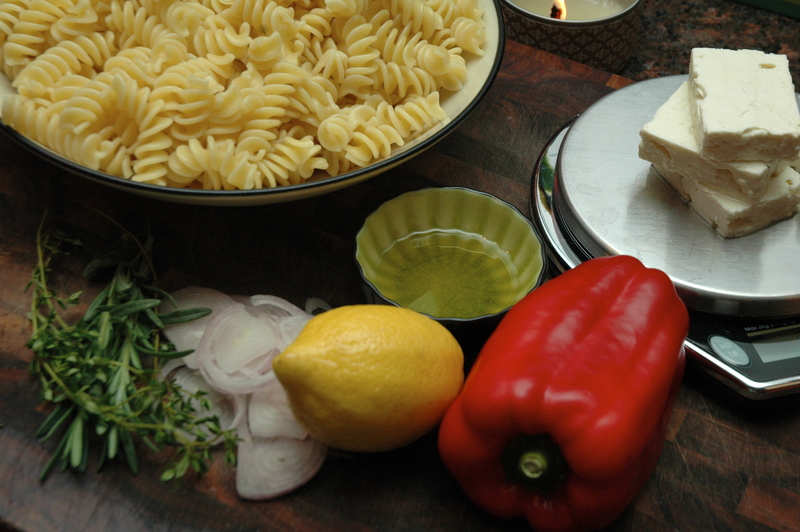 That fun colorful fusilli wrapped in herbs and whatever else mom had on hand that day. So for tonight’s Top 8 result’s show on American Idol I’m whipping up (literally) the quickest recipe I’ve done to date. And I get an excuse to use up some extra veggies sitting in the fridge. I didn’t watch last night’s episode but from the recaps I’ve been reading the song list seemed a little weak. As my friend Lyndsey Parker said, how do you have an 80’s night without Depeche Mode or Duran Duran. Blasphemy. Give this recipe a try. 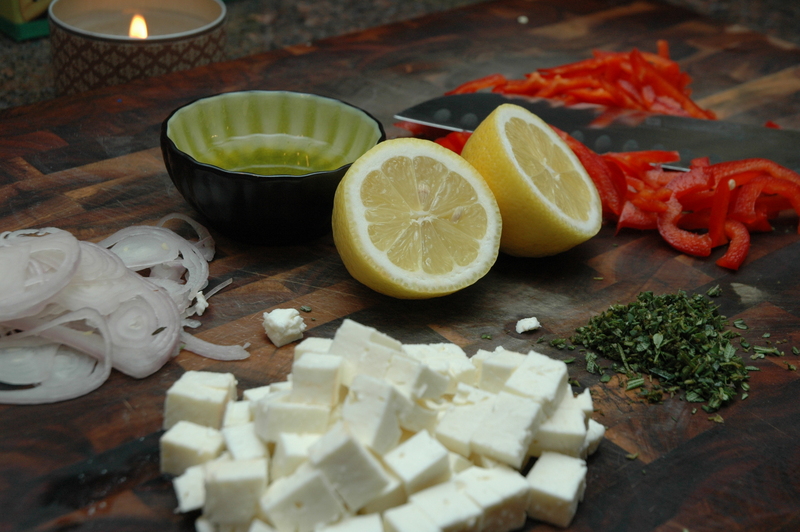 It’s easy, flavorful and delicious. Don’t forget to check out tonight’s dish on Reality Rocks HERE! Cook the pasta according to the package directions and cool. 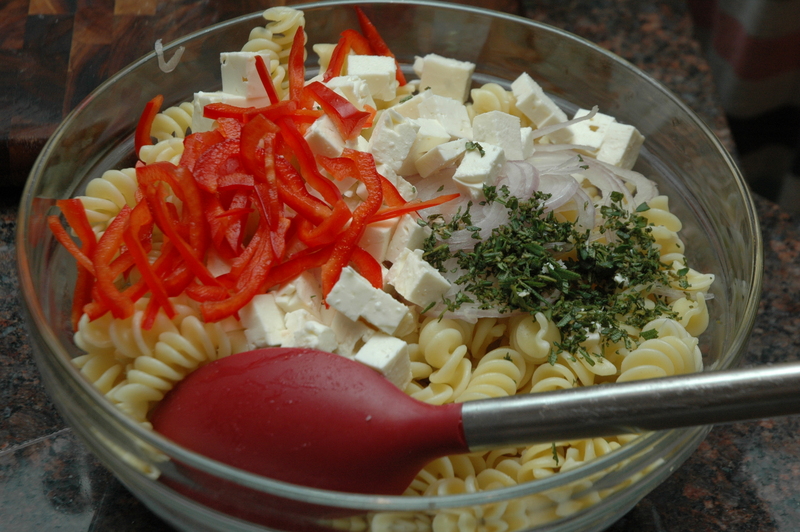 In a large bowl mix the pasta and the remaining ingredients until thoroughly combined. Season with the salt and pepper to taste (I used around 1 tsp of each). Top with a few pieces of bell pepper and sprinkle with some thyme.